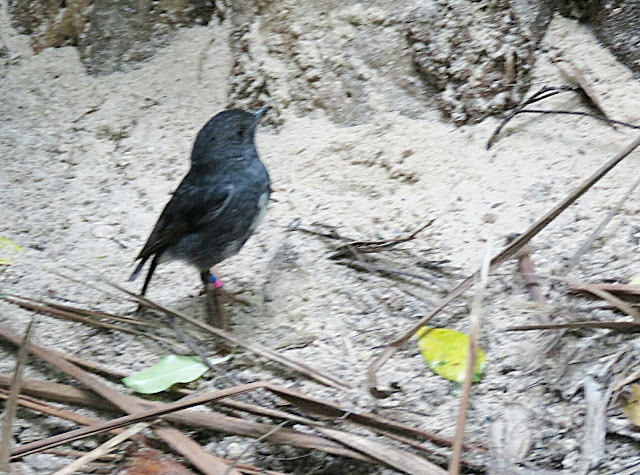 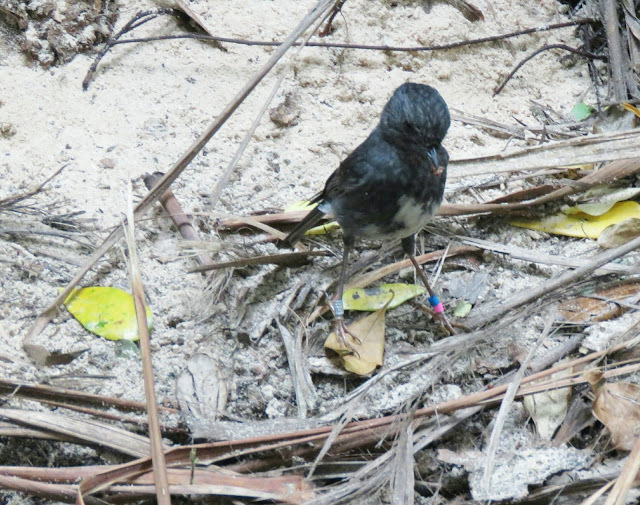 We can ID this bird as a North Island Robin by its mostly bluish-black color with a grey- white belly. 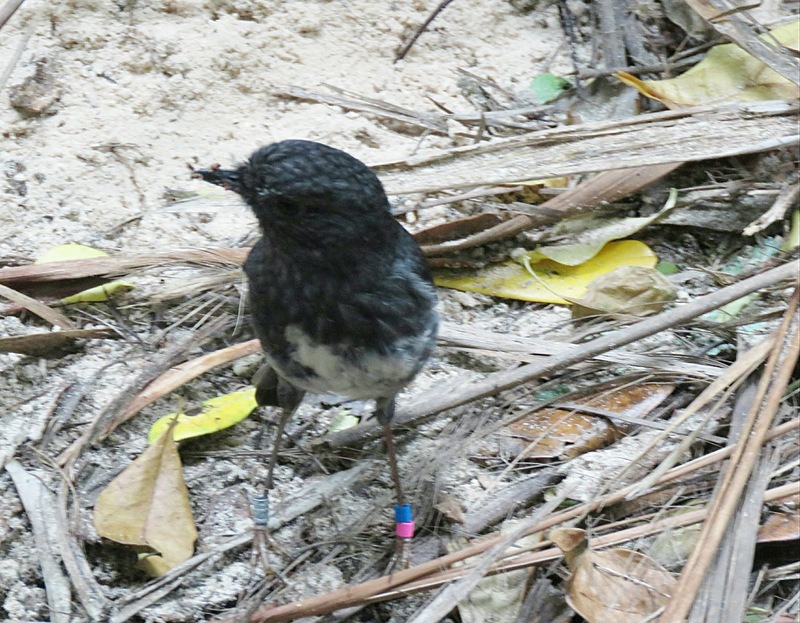 The North Island Robin is endemic to the New Zealand's North Island and several of its offshore islands. The North Island Robin is a new species to our Photographic Life List, which now stands at 723.